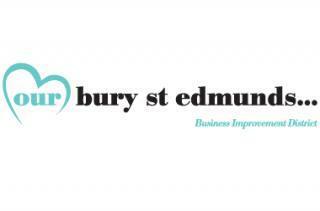 Groups and organisations who want to make the most of Bury St Edmunds’ first ever real ice rink are invited to get their skates on. Bookings have just opened at Our Bury St Edmunds for exclusive party sessions. The ice rink will open in the arc Shopping Centre on December 5 and will then be available every day, except Christmas Day until January 3. During the first two weeks it will be possible to hire the rink for sessions of 45 or 90 minutes as well as two hours for party bookings. Plans to bring the ice rink to town have been underway at Our Bury St Edmunds, which runs the Business Improvement District (BID), for several months and last week planning permission for the seasonal attraction was approved. Organisers of the ice rink hope that as well as the general sessions, which are expected to attract hundreds of visitors, it will appeal to those holding Christmas parties in the town who want to work up an appetite for their meal with a skating session before heading on to their celebration. Exclusive party bookings are available on weekdays and evenings, during the first two weeks of opening. Bookings for the public sessions will open in mid-October. To make a group or party booking for exclusive use of the ice rink contact Jackie Regan in the Ourburystedmunds office on 01284 766258 or by email to jackie.regan@ourburystedmunds.com.